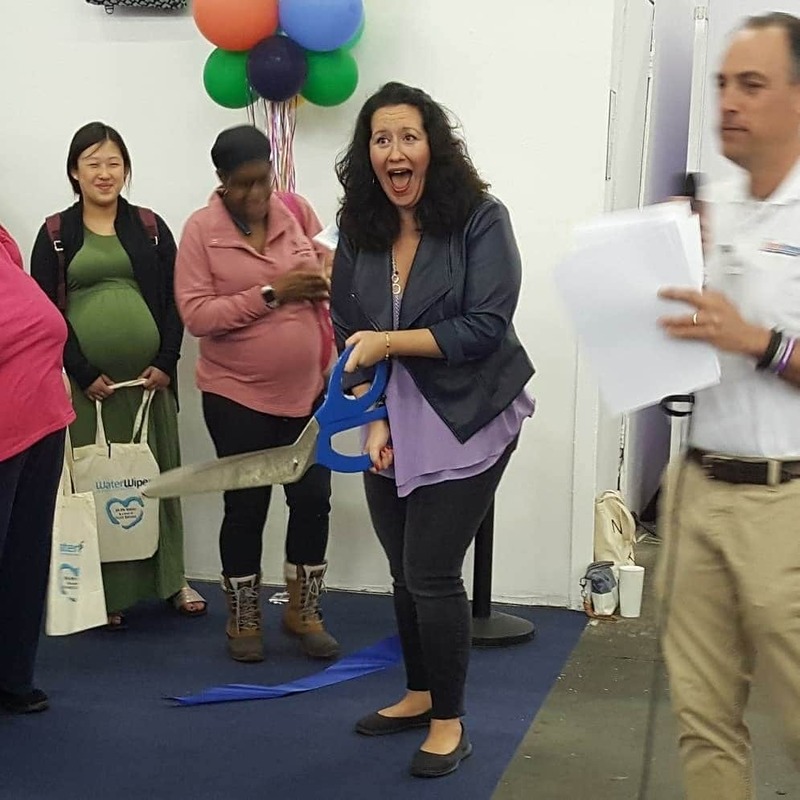 We had a total blast at this year’s New York Baby Show, which is the largest baby show in the country. Our very own Natalie Diaz was given the honor of cutting the opening day ribbon! 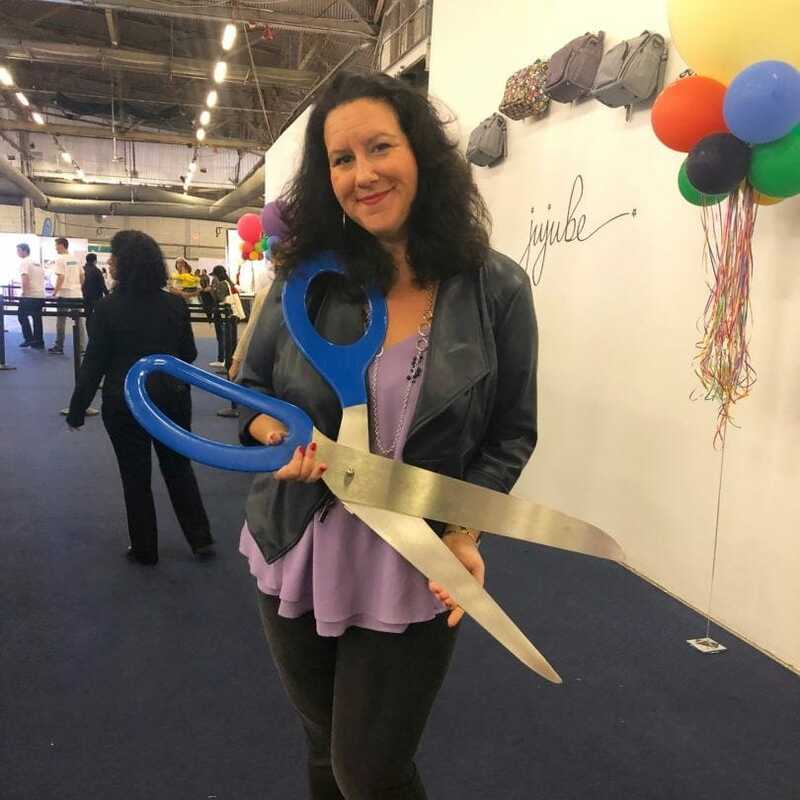 Those giant scissors were pretty heavy. Where do you even buy scissors that big?! Anyway, this 2-day event for expecting and new parents was a huge hit and we found tons of new and improved baby gear. 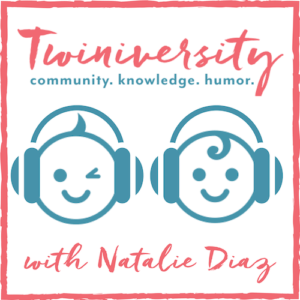 Nat spoke to expecting and new parents of twins in a “Meet the Expert” talk, plus she joined a panel of baby experts to discuss “Getting Back to You”. This was the only item we saw at the show that screamed, “THIS IS MADE FOR YOUR TWINS!” We are in love with the Romp & Roost! This multi-functional playard is a must have for parents of infant twins. It offers an extra large space for two babies to crawl around and play safely. 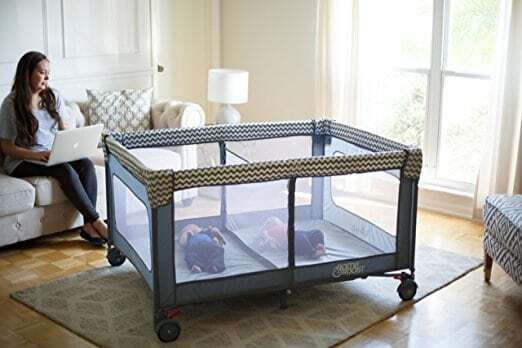 With the divider in, you have the ability to sleep both twins without having to travel with two traditional travel play yards. 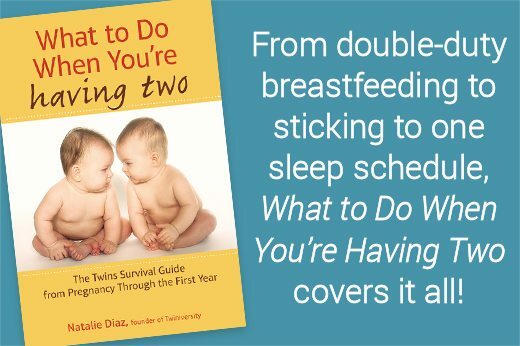 It’s a great item for at home or on the go. Put it on your registry now! We have always been HUGE fans of Britax, and now they have come out with something fantastic for our twin families! The Essentials By Britax line is a budget-friendly alternative line of convertible and booster seats, all featuring the same high-quality SafeCell® Impact Protection safety features that Britax is known for, plus many of their premium features, such as the 10-Position Harness Adjuster. This line is a real coup for families of twins who typically have to buy two or four car seats at a time. Babo Botanicals skin care, sun care, and hair care products are made for the whole family — parents, kids, and baby. Their products are such high quality and many of their items are especially formulated for those with sensitive skin. 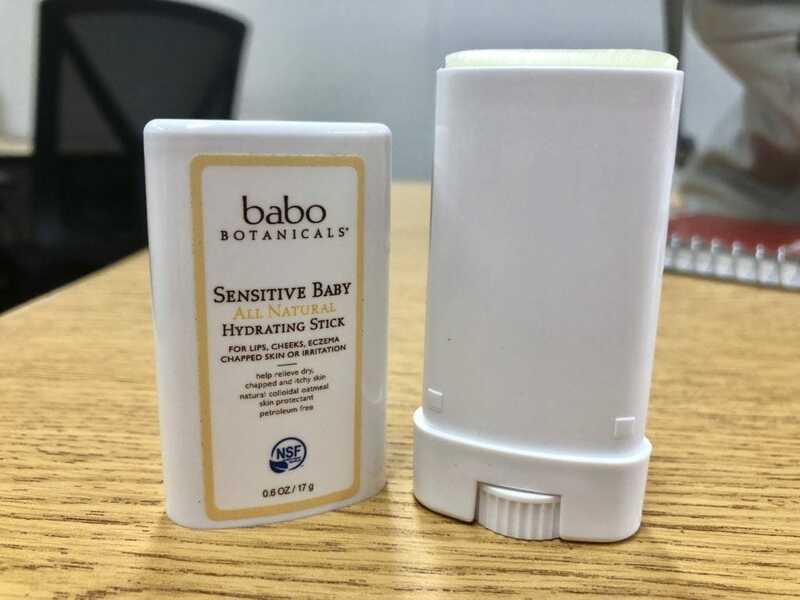 A favorite is the Sensitive Baby All Natural Hydrating Stick which helps with eczema and chapped/irritated skin. You’ll want to check out their full line of sunscreens, hair care, swim and sport, stretch mark oil, and of course their baby line! 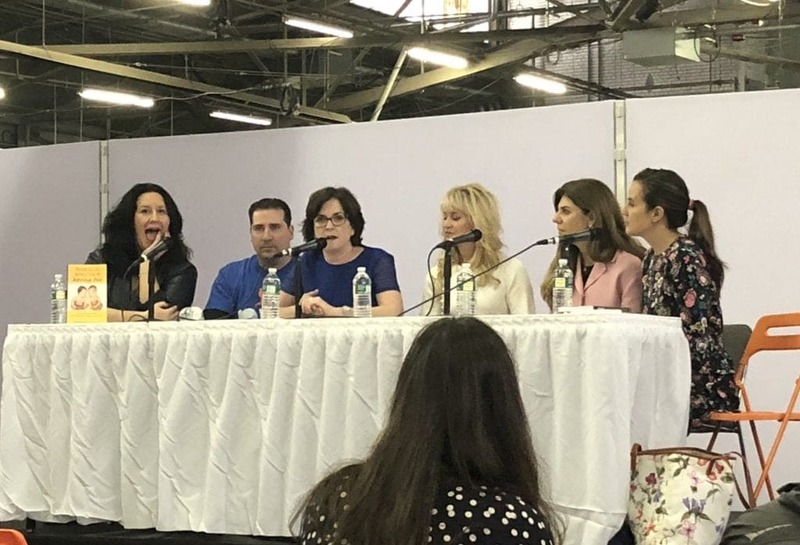 That’s the scoop on the 2018 New York Baby Show, until next year! 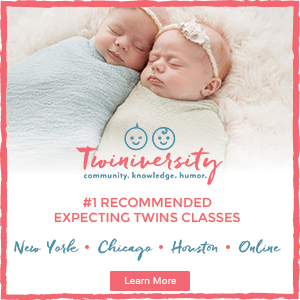 If you’re in Chicago or LA, mark your calendars for the Chicago Baby Show on August 25-26 and the LA Baby Show on November 3-4. Twiniversity will be there sharing all our best info on having twins and sharing in the fun of the show! See you then!